WHEN your company headquarters are in an overseas country and the local ways are different, getting time off can be difficult. Mr Lim Yeow Keong, the general manager of Sembcorp Industries' Salalah Independent Water and Power Plant in Oman, knows the problem well. 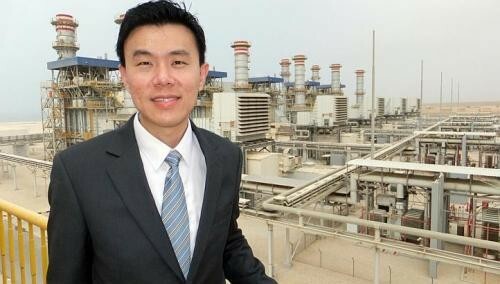 The difference between work days and weekends in Singapore and Oman posed a challenge when he relocated there in 2009. Omani weekends used to fall on Thursdays and Fridays - which meant that Mr Lim had to work almost every day, as those were working days in Singapore. Fortunately, the weekend in Oman has since changed to Fridays and Saturdays - and the 37-year-old now has Saturdays off. Being posted abroad has given him "more autonomy at work and in decision-making", though that comes with its own set of challenges. "It means that one has to work more independently, as you won't have direct access to the headquarters' support functions... Communication may also be a challenge due to location and time zone differences," he noted. Located on Oman's southern coast, Sembcorp's US$1 billion (S$1.3 billion) plant officially opened in May. It supplies electricity and water to the country's Dhofar region. Mr Lim said it has been easier to adapt to cultural differences in Oman compared to the "humidity and unbearable heat" in summer, when temperatures can soar above 45 deg C.
"The work culture in Oman is a family-oriented one, and very relaxed by Singapore standards," added Mr Lim, whose wife joined him there in 2011. Before that, the couple kept in touch through Internet phone conversations "at the expense of her beauty sleep", as Singapore is four hours ahead of Oman. "I've had a relatively easy time adapting to life in Oman, as the locals and expatriates here are warm and friendly," said Mr Lim, who spent two years working in Sembcorp's Fujairah 1 Independent Water and Power Plant in the United Arab Emirates before moving to Oman. Although working abroad has been a "unique experience", Mr Lim said that he still "misses Singapore's food, health-care services and the convenience of public transport".